Basic Training: – a more traditional boot camp-style class with a kickboxing flair. In addition to functional training, HIIT, circuits, and sports agility drills you’ll also do focus mitt training, heavy bag combos, footwork and defense drills. Each Basic Training class is unique and specifically designed to integrate tough workouts with the support and motivation of a team – expect nothing, be prepared for anything. Instructors will push you within your own fitness level; and trying your best is mandatory! Hooah! Suitable for all levels. Bag Combat: burn more calories and tone muscles faster by adding contact, resistance, force, and power to your kickboxing training. In this 55 minute heavy bag class you will use punches, kicks, knees and elbows from various martial arts such as Muay Thai, Jun Fan, Panantukan, Savate and Boxing. 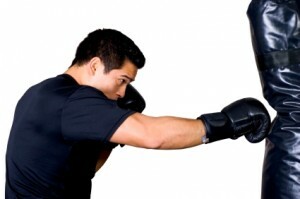 Although real kickboxing technique will be demonstrated, the focus is always on fitness! Since the class is for both New Recruits and Corps members, it is geared for you to go at your own pace. Whether your goal is to improve your kickboxing technique, burn calories to the MAX, or just find out what it feels like to beat the tar out of something, Bag Combat is for you! MAX Strength: total body strength-conditioning workouts to build, shape and maintain lean muscle. Lead by one of our certified personal trainers, this class is primarily non-aerobic using a variety of equipment such as resistance bands, free weights, medicine balls, stability balls more to improve strength, balance and flexibility. MAX Strength is a great complement to our Bag Combat, Basic Training, and PT Co-Op classes. Suitable for all levels. Core Force: This 30 min class will work hips, glutes, abs and back to develop your core force – functional strength, energy, power, and stability. Bring it on! Suitable for all levels. We add the elements of basic boxing technique, footwork, and defense with heavy bag drills, focus mitt training and other conditioning exercises to the TRX training for a total body fat burning workout you won’t want to miss! Participants must have completed 10 weeks of Boot Camp or obtain instructor approval. PT Co-Op (Partner Training Co-operative): unique fat burning workouts incorporating boxing/kickboxing combinations on the heavy bags, fun and safe partner-based pad work, circuit-training, and sports agility and plyometric drills. Participants must have completed 10 weeks of Boot Camp or obtain instructor approval. Muay Thai Hybrid: an intense 90 min class combining Muay Thai Rounds training with 20-30 min of high-intensity conditioning. Rounds are 3 minute sets of both hitting and pad holding. Participants will work ranges (kicking, kneeing and punching distances) in short combinations. This is the most challenging workout we offer – get ready to leave it all on the training floor! Participants must have completed 10 weeks of Boot Camp AND obtain instructor approval. 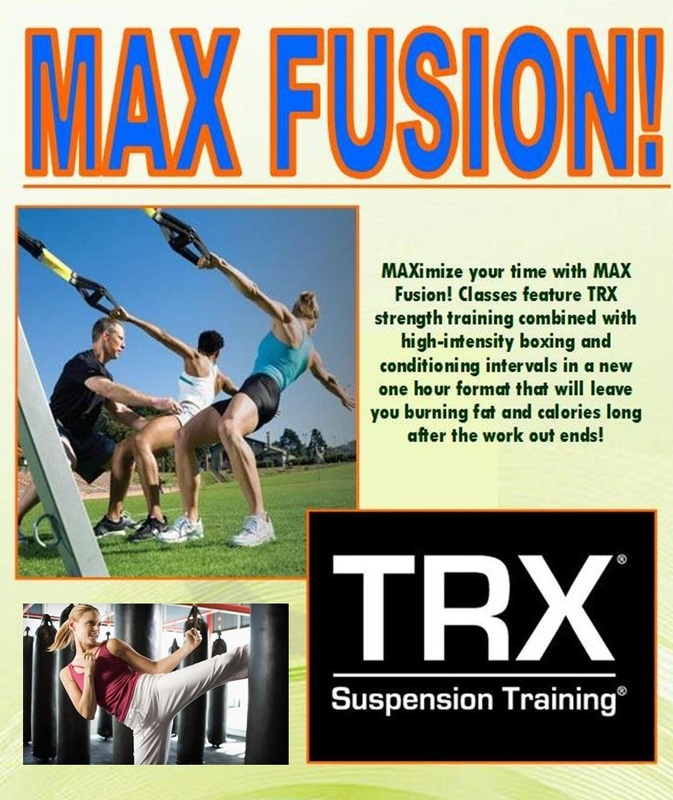 If you have any questions about the fitness schedule MAX10 program visit the program website for more information. We offer a FREE Consultation, FREE Private Lesson, FREE Fitness Evaluation and more for all new participants in the MAX10 Fitness Bootcamp in Seattle at MKG Martial Arts. 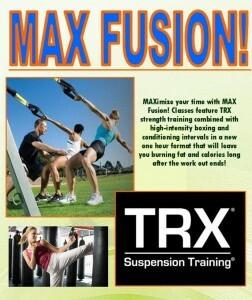 http://www.maxfitnessbootcamp.com or call 206-457-2101 to schedule your FREE appointment. Mention this blog and get a FREE t-shirt. This entry was posted in Fitness Kickboxing, Seattle Boot Camp and tagged core training, crosstraining by mkgmaxfitness. Bookmark the permalink.